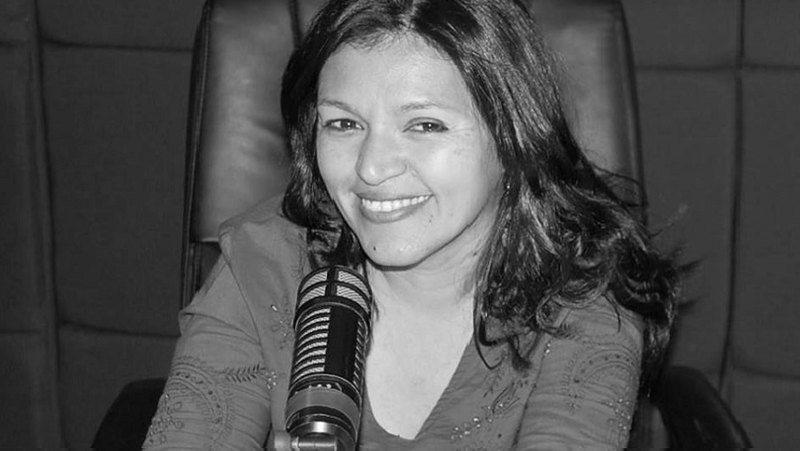 THE FACTS – Prominent journalist Gilda Silvestrucci, Honduran correspondent for the Venezuelan-based network Telesur and director of Radio Globo’s program “En la plaza,” has denounced being for months now the target of threats, insults and harassment made through social networks by someone who goes by the name “Ramon Jérez”. Silvestrucci reports that this person has warned her to stop attacking the government and gone so far as to send her a threat this past May 1 that reads, “When the sun comes up you’ll be riddled with bullets”. In numerous threatening messages he has made explicit references to her being a woman, her private life and children. She also reports that another person has been harassing her and making threats over the phone. Despite having formally reported this to the public prosecutor’s office, the harassment and threats continue and any investigations apparently are no longer active. Some months ago, amid post election protests, Silvestrucci was attacked by troops when she tried to video record assaults by security forces against journalists in the Tegucigalpa Marriot. Despite having also filed a report in this case with the authorities there is no evidence that they have been investigated. 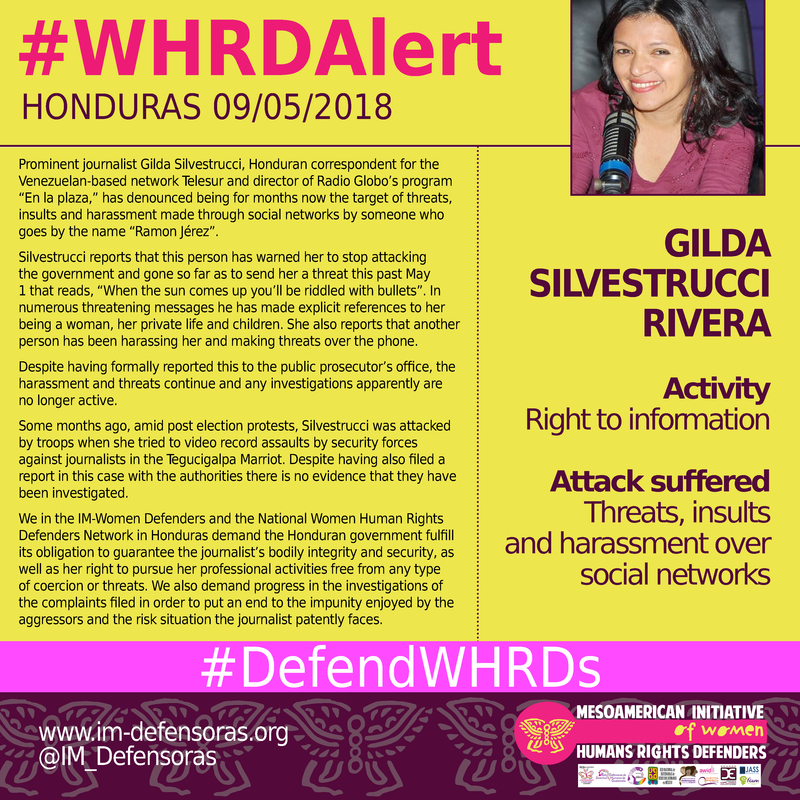 We in the IM-Women Defenders and the National Women Human Rights Defenders Network in Honduras demand the Honduran government fulfill its obligation to guarantee the journalist’s bodily integrity and security, as well as her right to pursue her professional activities free from any type of coercion or threats. We also demand progress in the investigations of the complaints filed in order to put an end to the impunity enjoyed by the aggressors and the risk situation the journalist patently faces.